Veggies Rule: His Letter Is About To Go Public! His Letter Is About To Go Public! Do you remember the blog post I did recently about Pope Francis and the environment? 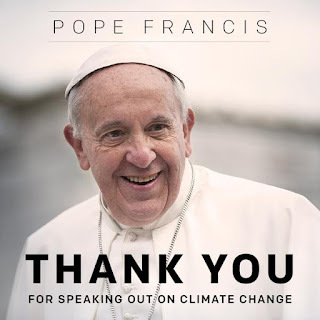 … well, in it I said that the rockin’ Pope was going to be issuing an encyclical (see end for definition), about the environment and humanity’s relationship with nature. Well, be prepared, folks - it’s due out on Thursday. That’s June 18th and I will try to keep you posted as soon as I hear what it says. In them meantime - wrap your laughing gear around this. 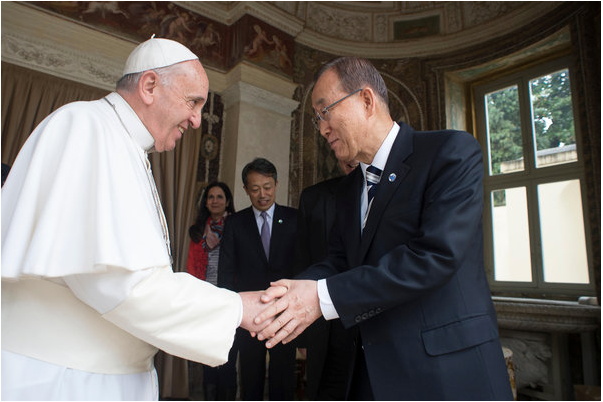 Last Tuesday, Secretary General Ban Ki-moon of the UN trotted over to the Vatican and he and the Pope had a bit of a pow-wow session on climate change and its impact on the poor of the world. They weren’t alone, there were scientists, diplomats and religious and political leaders in there as well. This “greenery” thing from the Vatican is actually not new. Pope John Paul II and Pope Benedict XVI, wrote about the role of industrial pollution in destroying the environment. And, surprising, Pope Benedict was labeled a "greeny" after he initiated projects to make the Vatican carbon-neutral. Other religious groups, including evangelical Christians, have spoken about the impact of environmental destruction on the poor. Also, just as an aside. 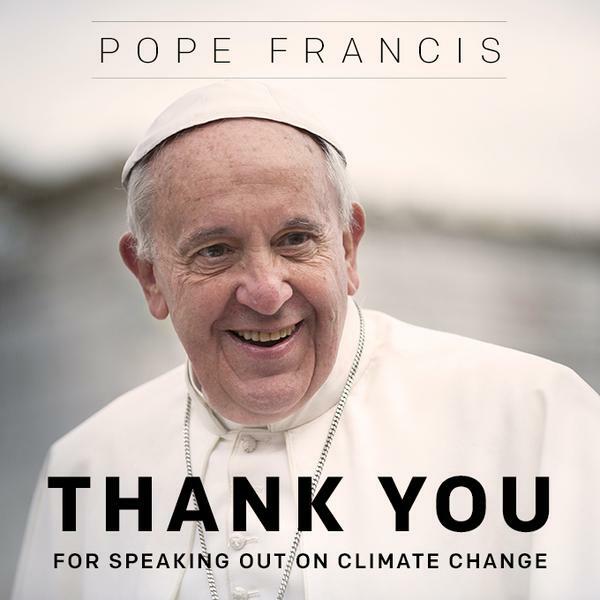 Did you know that Francis, when he was a Cardinal back in 2004, actually came out and said that destruction of the environment contributed to inequality and the need for social reforms. Wait - there’s one more fact I want to tell you. He also trained as a chemist and became very interested in the links between environmental destruction and social ills, including a dispute over paper pulp mills on the border with Uruguay, which Argentina claimed were polluting local drinking water. Unfortunately it went to the World Court and they backed Uruguay. Source. It's not a new thing for him and, obviously something he's very passionate about. So … it’s going to be interesting on Thursday when it all becomes public. An encyclical is a letter - and one from the Vatican goes round to all Catholics world-wide … it’s read out during the service. New Category, Yes, I'm Adding Recipes! New Zealand Clean and Green?